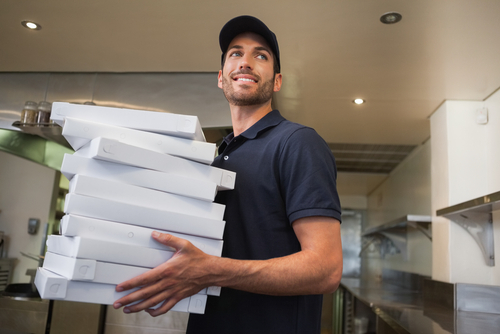 Curbside pickup service is a win-win for both parties: the customer doesn’t have to get out of the car to get a great meal and the restaurant earns money while still having plenty of seats available. Furthermore, almost half of regular diners say that they would use the curbside pickup option if it were available. Therefore, here are some success tips to share with your clients if they are implementing the new service. Even more importantly, ensure your clients are secured with the right Restaurant Insurance Program. Reserve a few parking spaces near your front door for curbside pick-up only. That ensures your customers have convenient places to park and that your staff can easily find them and it also advertises your curbside service as customers walk in, says The National Restaurant Association. If your clients are unable to reserve spots in a location visible to the staff, consider installing security cameras to keep an eye out for customers. Service is key to repeat business. Staff the restaurant accordingly to take orders, watch for customers, and deliver the food once they arrive. If there is a shortage of staff that night, have the host or hostess fill these duties, but make sure they don’t adversely affect the dine-in customers. It’s worth spending a little extra on quality carryout containers to make sure hot foods stay hot, cold foods stay cold, and liquids stay in containers. It helps preserve the guest experience all the way home, says the article. Take advantage of the advertising space on the containers to promote the restaurant, as well. Have curbside staff members carry cash to break big bills and purchase a mobile credit card device to process payments at the car. This will save time and trips back and forth!